Spending the summer alone (when not working) has been difficult, being so far away from my family and the things I usually do. However, the lack of distraction has had its perks: I’ve done more writing in the past few months than in the whole year before that. It’s also been an opportunity to see a lot more movies than I usually would, and this summer’s had plenty of good movies to see. Among them have been Captain America: Civil War, X-Men: Apocalypse, Finding Dory and Independence Day: Resurgence (a lot of sequels, actually, come to think of it). Coming up soon are Ghostbusters, Star Trek Beyond and Suicide Squad, all of which I’m excited to see. But one of the movies this summer I’m most anxious about is the one released today: Stephen Spielberg’s The BFG. I say anxious with good reason: there’s a solid opportunity here to make good of one of the most beloved children’s stories ever (and one of my own favorites, too), but an equal opportunity to utterly destroy it. Tackling such monumental adaptations come with huge risks, and history has shown us that even a master as adept as Spielberg can sometimes mess things up. This comes with a special risk, too, since it’s not the first time The BFG has been adapted for film; it was made into an animated television film in 1989—a film which has plenty of charm in itself. This is not a review of The BFG, either film or book (I haven’t seen the film yet, and wouldn’t dare review the book); rather, a discussion of the importance of The BFG as children’s literature, and how to adapt such an iconic story to the big screen. 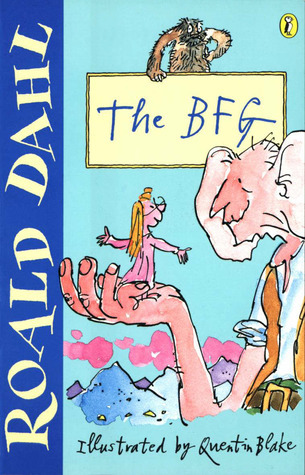 There’s probably very little chance you haven’t heard of or read The BFG, being one of Roald Dahl’s best-known works of all time, along with Charlie and the Chocolate Factory, James and the Giant Peach, and many, many others, but just in case you’ve been living under a rock for the past fifty years, here’s a brief synopsis. Sophie, an orphan, often stays up late (breaking the orphanage rules, of course), to see what comes out during the Witching Hour. One night, peering through her window, she sees something startling, surprising and terrifying: a real-life giant, twenty-five feet tall if an inch. What’s worse, the giant sees her, and of course no one is allowed to see a giant and get away. Sophie is abducted from her bed by the giant, swiftly carried off across the fields of England, across the sea, and to the far-flung Giant Country. Here, she soon learns of her fate: she has been kidnapped by the Big Friendly Giant—to her great fortune, the only giant in Giant Country who isn’t out to devour children in the middle of the night. That being said, the Big Friendly Giant, or BFG, can’t exactly allow her to return and tell the world of Giants. To make matters worse, she has to be utterly quiet and secret, for the other nine giants in Giant Country, each twice as large as the BFG himself, are bloodthirsty man-eaters, and would crunch Sophie’s bones in an instant given half a chance. So begins an incredible adventure of unlikely friendship, danger, dreams and nightmares, whizpoppers and snozzcumbers. Sophie and the BFG slowly hatch a plan to do away with—or at the very least capture—the nine gruesome man-eating giants, ultimately with the help of the British army, and even the queen of England. They are, of course, successful after many setbacks, and Sophie and the BFG settle finally in England, to live happily ever after. That being said, it isn’t only the writing and language of The BFG that make it such a wonderful story; a large part of any children’s book is the illustrations (should there be any, and of course there ought to be in a children’s book of any merit), and Roald Dahl’s stories don’t disappoint. The earliest books we are usually introduced to are dominated by pictures, and often contain very few words. As we grow, so does our ability to understand the written word, and so the images we learn to form in our heads can often outshine those that are painted on paper. That being said, there are a select number of books that we begin to read in the few years between childhood and adulthood wherein we can form wonderful images in our heads, but need a little guidance from the author and/or their illustrator. Some books do a better job at this than others, but every once in a while there is a book (or if we’re lucky, a set of books) for which the illustrations seem to have been pre-made, so perfect are they. There are a few different publications of Roald Dahl’s books out there by now, some with different illustrations (and possibly some without any). Some years ago I wrote on my own blog about Charlie and the Great Glass Elevator, and how the illustrations in it were terrifying. This is because the edition we had was illustrated by Joseph Schindelman, who, I’m sure, is a wonderful artist. However, his scratch-like black and white style did no favors to the bright and colorful language of the book, and the caricatures were simply dismal. Others have tried to illustrate Dahl’s books too, from Faith Jacques to Michael Foreman. However, there are no artists in the world that were so perfect a match for Dahl’s inventive and sparkling prose than the one and only Quentin Blake. Quentin Blake illustrated nearly twenty of Dahl’s children’s stories, including George’s Marvelous Medicine, The Twits, Charlie and the Chocolate Factory (finally, in 1995), and of course, The BFG. Quentin Blake has a incredible, child-like style that so perfectly mirrors Dahl’s writing that, as a child, I scarcely recognized that the illustrations were done by someone other than the author himself. There is a coherence between text and image that, in my mind, is only matched by author-illustrator Dr. Seuss (for whom Quentin Blake once illustrated a book as well). Although the majority of Quentin Blake’s illustrations are black-and-white (being, of course, inside the book), somehow they convey a deep, rich sense of color that bleeds into the text itself, and vice-versa. A brief Google search for his work reveals that many of them have been colorized (or, in reverse, were decolorized for print), but a comparison between the two shows an inherent instinct for the two mediums. After all, some color illustrations look appalling in black-and-white, and many monochrome drawings lend themselves poorly to colorization. With Quentin Blake, the two are simply sides of the same coin: what isn’t in color easily could be. Because Quentin Blake’s illustrations are so intrinsic to Roald Dahl’s work, it’s difficult to appreciate versions and adaptations that don’t follow his stye. In 1989, a year before his death, British television channel ITV produced and released an animated version of The BFG. I’m sure that Roald Dahl approved of it, and in fact it was as whimsical and magical as I think it could be. I remember seeing it as a child and being enamored of the animation, thinking that it matched well to what I remembered from the book. Looking back, now, I see that it isn’t quite the case: the BFG’s nose is too big, his ears too pointy, his vest too green … and while I realize that these may be minute points, they make for a significant difference; in the animated film, the BFG looks more like an oversized elf than a giant. The man-eating giants are gruesome, but not even remotely similar to Quentin Blake’s giant, hairy beasts. And all of this makes a huge difference, because of course as a child I became accustomed to Quentin Blake’s imagery, and assumed it was the only way for Roald Dahl’s characters to appear. So it probably comes as no surprise that, when I heard Stephen Spielberg was making a live-action adaptation, I was instantly skeptical. Quentin Blake’s illustrations hardly look life-like, so how could anyone possibly translate his imagery into something at once similar yet realistic? While such things have been done before—perhaps most successfully with Peter Jackson’s Gollum from The Lord of the Rings—it’s rare that a cartoonish, childlike scene can be rendered in real life without seeming either pandering, cartoonish in itself, or simply trying too hard. Then the previews started coming out. The teaser trailer smartly left most of the CGI to the imagination, working instead with promising newcomer Ruby Barnhill as the young Sophie, and casting everything else into dark shadows. This was a wise decision, because of course it allowed excitement to build around the movie without outright ruining it for anyone who was expecting Quentin Blake in real life. I started getting excited myself. Then the longer trailers came out, and I took a long, hard look. And the more I re-watch it (I’ve seen it quite a few times now), the more I think—they actually did a good job. The voice actors seem to have been cast well, and the depiction of not only the giants but the entire environment, including Giant Country, seems to have been deeply inspired by the classic Quentin Blake illustrations. And I couldn’t be happier. This isn’t to say, necessarily, that Stephen Spielberg’s vision is any better than Brian Cosgrove’s animated one, but it is different—and, I believe, respectful. This is probably the biggest gripe I have about wanton adaptations of all the wonderful books, both children’s and adults: respect for the author, and the material. Peter Jackson showed us that respect with The Lord of the Rings (though not so much with The Hobbit); Tim Burton, I believe, did not with his version of Charlie and the Chocolate Factory. Roald Dahl died in November of 1990, at the age of 74 and in fact, this year marks the centenary of his birth in September of 1916. He left the world with a wealth of marvel and magic, through numerous books for adults and of course, his incredible stories for children. And whenever so great a giant leaves behind such a legacy, it becomes difficult to know how to respect it. The books are, of course, the original material, and it goes without saying that they are, and will always be, untouchable. From Mathilda to The Witches, these stories of love, terror, happiness and tragedy are to a one utterly unique, and completely priceless. They will be published and republished, printed over and over again, and in time, there will probably come along an eager young illustrator ready to do his own justice to the tales left behind. And perhaps, for a new generation, these new illustrations will mark the definitive version for them. For me, Quentin Blake will never be beaten, and I’m glad to see that Stephen Spielberg shares my understanding of that. In watching the trailers, it even feels like the whole film has a slightly ‘illustrated’ quality to it—even the fully live-action scenes. This to me shows a remarkable attention to detail that goes beyond the finesse of today’s GGI—an understanding that the best animation today’s technology can provide still can’t quite capture the essence of what Quentin Blake was trying to portray. Instead of trying to make the giants slightly more believable, he made the actors slightly more illustrated. There’s a part of me that would like to see this approach applied to more of Roald Dahl’s books—especially the outrageously fantastical ones. The late 80s and 90s were a magical time for Roald Dahl adaptations, with some of the best (The Witches, Matilda) enduring to this day. Some others, like Danny, The Champion of the World (one of my secret favorites), only ever made it to television, and it would be great to see these on the big screen, and distributed to a wider audience. That being said, I would hate to see Roald Dahl’s legacy tainted by Hollywood greed. The author never left me with the feeling that he wrote for anything other than the sheer joy of it, and so it should be with any future illustrations and adaptations of his works. 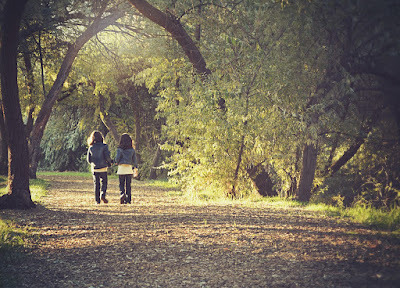 Joy seems to me to be one of the primary themes central to his books, especially those for children; the joy that children ought to have and are so often deprived of. The best adaptations have understood this, perhaps instinctively; Wes Anderson wisely chose stop-motion as the medium for 2009s Fantastic Mr. Fox, perhaps knowing that CGI would be a disservice to the characters themselves (he was nominated for an Oscar for this movie). There is something inarguably childlike about stop-motion, and I myself would like to see more of it. If Roald Dahl left us with anything, it is this: a sense of childlike wonder and joy, and in this his stories are clearly not just for children. More adults, I think, could benefit from reading and rereading his novels, just to remember what it’s like to be a child. 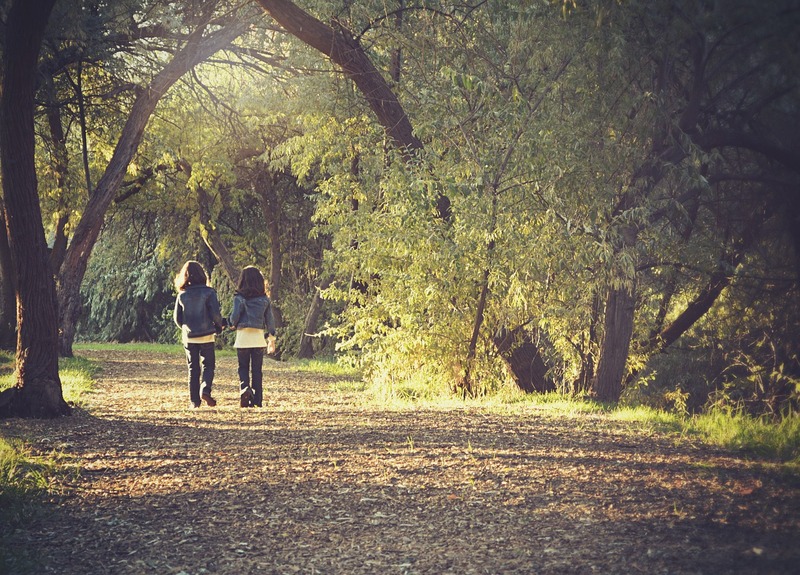 This is something Roald Dahl knew instinctively: that children are the masters of the world, and all adults tend to do is muck things up for them. So go be a child, and read one of your favorite Roald Dahl books. Go watch The BFG tonight. And above all, tell me what your favorite books are! Great review of a true classic! I had no idea the author was that prolific until I looked at my son's bookshelf. Wow, what a fascinating article. I must have had a deprived childhood as I can;t recall reading any Roald Dahl (more shame me) Perhaps, now, as an old man, I should rectify that. :-) Thanks for the article. I've never heard of BFG. Too bad. It would have been nice to read. Although I've enjoyed Ronald Dahl, BFG is a discovery for me. Thanks for pointing out this masterpiece. I just love your blog! Thanks so much for sharing this with us. 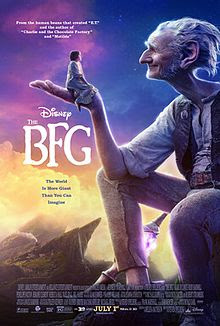 I had not heard of BFG thanks for enlightening me. Thanks!